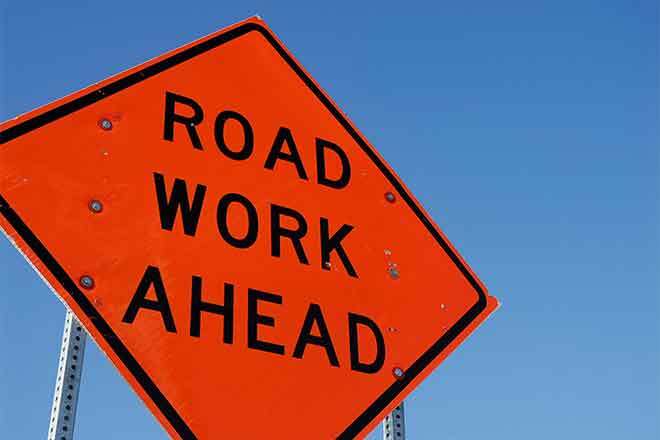 Part of Highway 71 south of Ordway will be closed starting Monday as work begins to replace a bridge over the Arkansas River. According to the Colorado Department of Transportation, the closure is expected to continue through late October. Access to businesses along the highway will remain available, however a three-quarter mile segment between mile markers 18.75 and 19.5 will be inaccessible as the aging bridge is replaced. CDOT says the current bridge was built in 1935 and is considered structurally weak, with a "structural sufficiency rating" of 48 out of 100. CDOT usually replaces bridges when their rating drops below 50. The replacement will include 12-foot lanes and 8-foot shoulders, and will be constructed with concrete girders and deck. The current bridge uses steel girders. An alternate route around the construction area has been established using Highways 96, 207, and 50. 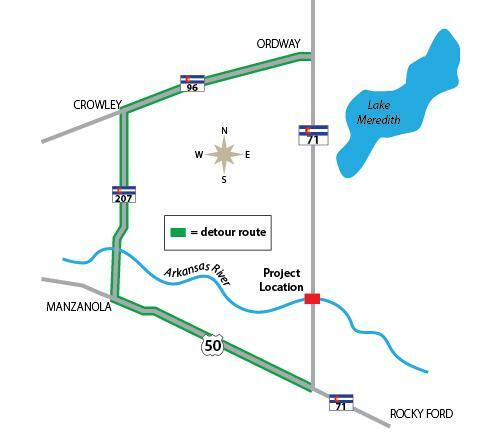 Highway 71 detour route during much of 2019. Courtesy CDOT.